KESDEE is the world’s largest financial e-Learning company. KESDEE's e-learning solutions are relevant for the providers of financial services, as well as for users, regulators and advisor's of financial services. KESDEE’s e-learning courses are relevant for educational institutions in their certificate/ diploma/ degree programs. Kaplan/KESDEE web based exam preps are available for Insurance Achievement Content. People are the key drivers of our success. We like to see ourselves as a "People Company" who is committed to foster an environment of continuous learning and development, one that supports open, honest communication and maintain the highest standards of business ethics and integrity. We also value diversity and commit ourselves to helping people realize their true potential. This team incorporates the finest project management skills, superior process methodologies, and infrastructure into every learning solution. Our team also includes Global Best Subject Matter Experts, who deliver content on cutting-edge topics in finance. Dr. S.L (Sam) Srinivasulu - Chairman, KESDEE was invited to make a presentation on "Competency Development in the Financial Services Industry: Four Case Studies". Venue: The Venetian, Las Vegas. Training magazine 37th Annual Conference & Expo 2014. KESDEE Inc. is pleased to be a Sponsor for "Training 2014 Conference & Expo". Banking, Financial Services, and Insurance are a rapidly growing industry with constantly changing needs. All these financial institutions are faced with numerous challenges everyday: regulatory compliance, increasing competition, professional certifications, and talent management, among others. To keep pace, it is important that their staff is well trained and equipped with essential skills to remain ahead in the market. KESDEE has developed a comprehensive array of e-learning solutions to meet various needs to the BFSI industry viz., branch management, risk management, regulatory compliance, balance sheet management, and structured finance. We have solutions to meet all your requirements. KESDEE has developed the following web based exam preps. For each of these web based exam preps, e-learning courses are mapped according to the curriculum for the exam, and are in accordance with the Learning Outcome Statements for the exam. CFA Institute does not endorse, promote, or warrant the accuracy or quality of the products or services offered by KESDEE Inc.. CFA Institute, CFA®, and Chartered Financial Analyst® are trademarks owned by CFA Institute. If you would like to pursue this potential opportunity, please contact us at: partners@kesdee.com. Please find below for the detailed list of our channel partners. Founded by the New York Stock Exchange in 1922, The New York Institute of Finance has been helping financial services companies and multinational corporations to learn and lead for over 85 years. Through our parent company, Pearson and its subsidiaries, including the Financial Times, we have unrivaled access to the best intellectual capital in the world. Our public courses offer a broad based curriculum covering all levels in subjects ranging from accounting to yield curve analysis. Taught by best-in-class industry practitioners, our courses combine academic rigor with an in-depth understanding of how business and finance work in the real world. The New York Institute of Finance understands the financial marketplace because we are part of it! Institut Bank-Bank Malaysia (IBBM) is the leader in providing industry-focused training programmes and certifications. Established by the banking and financial services industry, it is governed by a Council comprising representatives from Bank Negara Malaysia, the Association of Banks in Malaysia, Association of Finance Companies of Malaysia and the Malaysian Investment Banking Association (formerly the Association of Merchant Banks in Malaysia). The fundamental role of IBBM is to be the key enabler of transfer of knowledge and skills. Indian Institute of Banking & Finance (IIBF) is the largest Institute of its kind in the world and is working with a mission "to develop professionally qualified and competent bankers and finance professionals primarily through a process of education, training, examination consultancy /counseling and continuing professional development programs". The Institute has almost all the banks and financial institutions - public sector, private sector, foreign, cooperative, Regional Rural Banks - as members in addition to IT companies and individuals working in the banking and finance industry..
Vietnamese Banking Skills Training & Consultancy Company (BTC) was set up in November 2001 as an initiative of the International Finance Corporation-Mekong Private Development Facility (IFC-MPDF) to help build the capacity of Vietnamese banks by providing training services of best global practices to the Vietnamese bankers. BTC is currently the leader in corporate training for Vietnam's financial services industry, owned by 10 commercial joint stock banks including Asia Commercial Bank (ACB), East Asia Commercial Bank, Sacombank, Techcombank, Vietnam International Bank, VP Bank, Habubank, Eximbank, Housing Development Bank. The Institute of Chartered Accountants of the Caribbean has provided a forum for the advancement of the accountancy profession in the Caribbean. It is the vision of the ICAC to establish a regional Accountancy profession that meets internationally acceptable accounting standards and practices and provides a platform for the continued growth and development of the profession. Institute of Certified Public Accountants of Singapore (ICPAS) is the national organisation of the accountancy profession in Singapore. It was established in June 1963 as the Singapore Society of Accountants (SSA) under the Singapore Society of Accountants Ordinance, then reconstituted and renamed the ICPAS on 11 February 1989, under the Accountants Act 1987. As of 1 April 2004, ICPAS is reconstituted as a society under the Societies Act. The Professional Risk Managers' International Association (PRMIA) is a higher standard for risk professionals, with more than 65 chapters around the world and over 54,000 members from more than 180 countries. A non-profit, member-led association, PRMIA is dedicated to defining and implementing the best practices of risk management through education, certification, events, networking, and online resources. More information can be found at www.prmia.org. The Southern California AFP is a not-for-profit professional association serving financial professionals in Southern California. 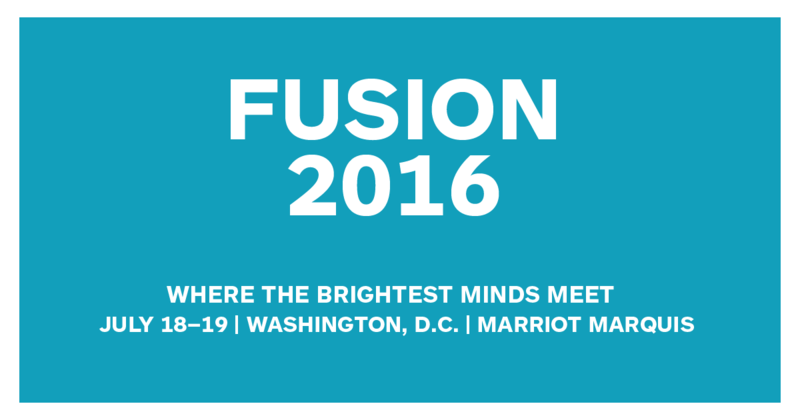 It conducts periodic training and educational seminars, and presents a major two-day EXPO annually each year. The Association provides financial professionals with educational and career development opportunities and an interactive forum for the exchange of ideas. Ecole Solutions has been founded with the conviction that large numbers of capable individuals can be transformed to be able to perform seemingly complex tasks through a process of "outcome" based learning. Our focus is to design and implement programs, processes and technology that facilitate continual skill up-gradation and knowledge transfer among employees, intellectual assets and customers. "End-to-end Learning infrastructure Solutions including Learning Management, Domain specific Learning Content, Content Authoring tools, Virtual Classrooms and Online Assessment technologies and related services." The team at Ecole Solutions has been involved in designing and executing turn-key Learning infrastructure and online assessment projects in India and the Middle East. INFOSERV Institute of Technology has been providing productivity enhancement solutions for over three decades. INFOSERV has partnering relationships with leading international solutions providers and adds its unique "hand-holding" approach of client relations to the end-user experience. The INFOSERVONLINE ACADEMY is a heavily trafficked location for individuals and organizations who are in search of behaviour modification and performance enhancement. Vast Talent is a specialized e-learning company and KESDEE’s strategic partner in China. We help customers with all aspects of their e-learning strategy, including courseware, technology and services. Vast Talent offers a number of solutions specifically designed for companies in China, including a compliance package for the Basic Standard for Enterprise Internal Control (“China SOX”). Vast Talent has offices in Hong Kong and Beijing. Wiztrack is a customer centric, learning and development solutions provider, focused on integrating the most applicable solutions for its customers. Wiztrack has partnered with some leading firms and has brought together best of the breed eLearning technology, services and solutions that are most applicable for the marketplace. It possesses specialized solutions in numerous spheres such as Learning Consulting, Asynchronous and Synchronous Learning, Content and more. Established in 2004, Upside Learning is a globally recognized leader in training outsourcing, LMS solutions, custom eLearning development & mobile learning. With a collective experience of 600+ person-years, it has successfully completed more than 300 corporate and academic projects for over 150 clients worldwide. The company’s product & services portfolio ranges from Custom eLearning to Catalog Courses, Mobile Learning to Blended Learning, Learning Management Systems to Technical support services tailor-made to an organization be it an Enterprise, a SMB or a Training Company. Upside Learning has been consistently picking up awards & other recognitions every year, including the most recent, 3 Brandon Hall Excellence in Technology Awards for its flagship Learning Management System – UpsideLMS and Deloitte’s Technology Fast1600 Asia Pacific Program award. It is its constant endeavor to develop advanced & innovative learning solutions to provide cutting-edge solutions to its clients thereby impacting their organizational learning and hence, performance. Athens Technology Center (ATC) S.A., founded in 1987, is a privately-owned Information Technology company based in Athens, Greece that provides turn-key solutions and consulting services to large organisations, enterprises and SMEs as well as horizontal solutions for the media and advertising industry, content management and e-learning market, enterprise business solutions and mobile solutions across-the-board. The e-learning business unit of ATC, Human Capital Management Solutions (HCMS), has been delivering e-learning solutions since 2001 in the public and private sector in Greece that aims to address specific needs of the e-learning market either as a Value Added Reseller (VAR) or an Application Service Provider (ASP). ATC deliver solutions and services ranging from LMS and Virtual Classroom installation and deployment, on-premise and on-demand to content authoring and procurement of off-the-shelf e-learning courses. "Yet5.com - India's Largest Training Information Portal. Yet5.com helps training seekers to find best training providers and training courses to enhance skills. Yet5.com provides an user friendly platform for training providers to reach out the training seekers. Founded in 2009, Yet5.com has growing Network of more than 5,000 training providers from 49 cities in India with 700+ course categories. More than 1.2 Million people visiting Yet5.com to reach out of classroom, online and e-learning training courses and training providers." Cyberwisdom.net Limited is a leading e-learning solution provider for corporations, and governments. Headquartered in Hong Kong, with offices in Beijing, Shanghai, Guangzhou and Shenzhen, we serve clients with total solution including learning platform implementation, custom content production, off-the-shelf contents, e-Learning and mobile learning consulting service. We are now serving top 10 banks in China, and numerous multinational corporations with offices throughout Asia. Hedge Fund Academy are specialists in providing advisory services and structured training programmes to the financial services industry. The founder & C.E.O, Marilyn Ramplin and her team have more than 15 years’ of international Financial Industry Experience. From an initial focus on the hedge fund industry, we have expanded our offering to provide a dedicated training and advisory product to the extended Financial Market industry. In addition to our course offering on Hedge Funds, Prime Broking, Securities Lending, Collateral Management and the Regulatory Environment, Derivatives, CFA®, Basel III, Risk Management, Financial Markets Learnership Programme, the Hedge Fund Academy In partnership with KESDEE is launching eLearning to our portfolio of products. Corporate Learning Consortium (CLC) is a Financial Services Industry learning provider. Our programme catalogue consists of numerous accredited e-learning courses in the areas of banking, capital market, insurance, wealth management, Islamic banking, Takaful and various other topics. EduKart.com is India's largest higher education provider. The company strives to provide quality education - long term (degree, diploma) and short term (certifications) programs – to working professionals and students. Founded in 2011 by alumni of Stanford University, Indian Institute of Management (IIM) and University of Delhi, the team is immensely passionate about providing quality education at affordable prices. The courses include distance and correspondence degree courses like MBA, Executive MBA, PGDM, MCA, M.Sc. IT, BBA, BCA and B.Sc. IT. Additionally, the company also provides industry certifications in areas of Retail, Digital Marketing, Finance, Telecom, Programming, Project Management and more. Our e-learning courses are in compliance with best industry standards, and are interoperable with leading Learning Management Systems (LMS). Our courses have already been deployed at client sites with different Learning Management Systems. We have entered into partnerships with LMS providers and our content has been tested for interoperability. SumTotal Systems is the global leader in cloud-based strategic human capital management (HCM) solutions that provide organizations with a new level of visibility to help make more informed business decisions and accelerate growth. Recognized by industry analysts as the most complete solution, SumTotal provides full employee lifecycle management, including a core system of record, from a single vendor for improved business intelligence. KESDEE is business partner with IBM. Meridian's software and services deliver learning, distribute knowledge, and sharpen business skills, which will make you a leader in your industry. Meridian Global LMS, the company's flagship product, integrates learning content management, workforce analytics, knowledge management, and competency modeling in one learning management system (LMS). Meridian also provides professional services, courseware development, and hosting services. More than 270 public and private-sector employers including AutoZone, Panera Bread, U.S. Air Force, U.S. Navy, Whirlpool and numerous state and local governments rely on Meridian. 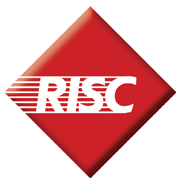 RISC Inc is a software company specializing in learning management solutions. The award-winning Virtual Training AssistantTM system from RISC, Inc., is a comprehensive learning management system that includes records management, on-line enrollment, and testing software. Companies can create and administer training plans, management class enrollment, deliver on-line learning modules and track training costs all from an easy to use interface. Students can look at course offerings and descriptions, review their training plan, enroll in classes and launch e-learning modules, all via the Internet or your corporate Intranet. Supervisors can be given the ability to enroll their employees into courses and monitor training compliance. RISC can provide behind-the-firewall enterprise-wide installations integrated into your existing HR information system as well as ASP services, where the Virtual Training Assistant system is leased on a monthly basis. As an ASP, the software runs on RISC servers and you can access the system via the Internet. Saba (NASDAQ: SABA) is a provider of products and services focusing on Human Capital Development and Management Solutions. Saba Enterprise LearningTM is a management system that improves the skills and knowledge of people across the extended enterprise. KESDEE e-learning courses are SCORM compliant. To become our Technology Partner, please contact us at partners@kesdee.com. Visitors to this site may not copy, modify, alter, reverse engineer, disassemble, sell, transfer, rent, license, publish, distribute, disseminate or otherwise allow access to all or any of the Information. If the Visitor is a corporation this term shall apply to any subsidiary, affiliate or parent of such corporation. All materials contained on this Site are subject to the ownership rights of KESDEE. No other permission is granted to you to print, copy, reproduce, distribute, transmit, upload, download, store, alter, or modify the content contained on this Site. All remarks, suggestions, ideas, graphics or other information communicated to KESDEE through this Site will forever be the property of KESDEE. Unless otherwise specified, KESDEE will not be required to treat the information as confidential. KESDEE shall have exclusive ownership of all present and future existing rights in the information, without compensation to the person sending the information. We do not provide personal information gathered on the websites to third parties except with your express permission or as permitted by law. By "personal information" we mean any information about you as an identifiable individual. We may release or use your personal information provided on the websites for the purpose for which it was provided or for a compatible purpose. This Web site contains many www.kesdee.com and third-party trademarks and service marks. All marks are the property of their respective companies. All rights in the intellectual property contained in this Web site including copyright, trademarks, trade secret and patent rights are reserved. Access to this Web site does not constitute a right to copy or use any of the intellectual property of KESDEE or its partners. The Visitor agrees to protect all copyright and other proprietary rights of KESDEE and its third party licensors. This Site may be linked to other sites, which are not maintained by KESDEE. KESDEE is not responsible for the content of those sites. The inclusion of any link to such sites does not imply endorsement, sponsorship, or recommendation by KESDEE of these sites.